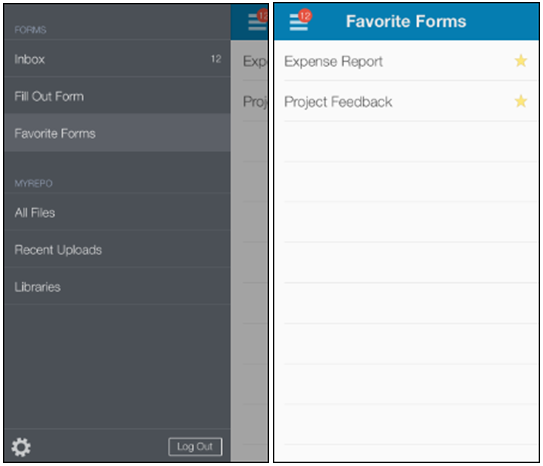 Laserfiche Mobile is an Android and iOS app that enables you to capture, upload, and securely access and work with documents inside your repository, all while on the go. 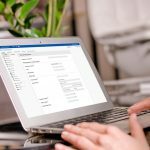 You can browse for documents in a folder structure; search the entire repository; create, copy, move, rename, download, and delete documents; modify document fields; submit forms; view and start business processes; capture geographic coordinates of an image; email entry links; and upload new documents. 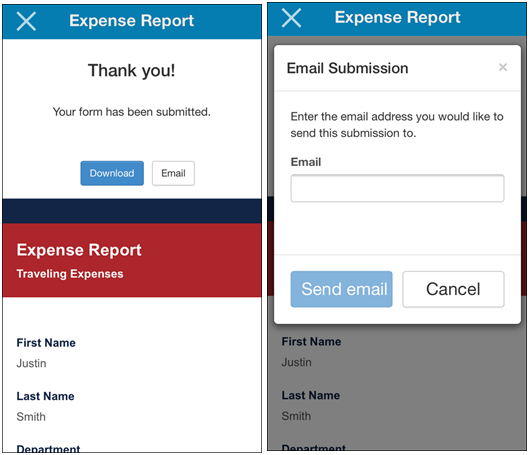 The latest release of Laserfiche Mobile 9.2 lets you attach files to, sign, and submit forms as a step in a Laserfiche Forms business process all from your mobile device! For example, Justin needs to submit an expense report for a recent business trip. Pictures of all his receipts are in his phone’s picture gallery. 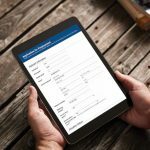 He logs into Laserfiche Mobile, and since he’s saved the Expense Report form as a favorite, he taps Favorite Forms to find it quickly. 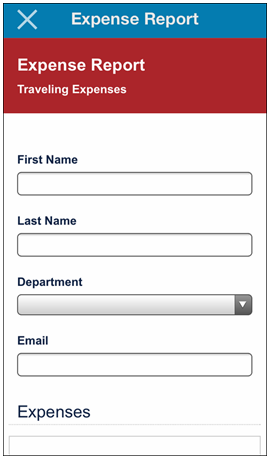 Once found, he taps the form to fill it out. He adds each expense, taps Upload, navigates his picture gallery, and finds the corresponding receipt for that expense. Once uploaded, he can tap the file’s name to view it and make sure it’s the correct receipt. Note: Justin can also take a photo from within the app and upload it as an attachment. It does not have to be an existing photo. 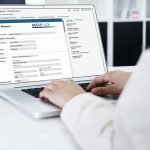 His company requires him to sign the form once all the receipts are uploaded. 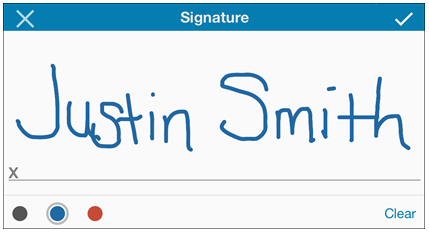 Justin taps Sign, changes the signature color to blue, and uses his finger to sign his name. Once finished, he taps Submit. From here, Justin taps Email and emails himself a PDF copy of this expense report for his records. 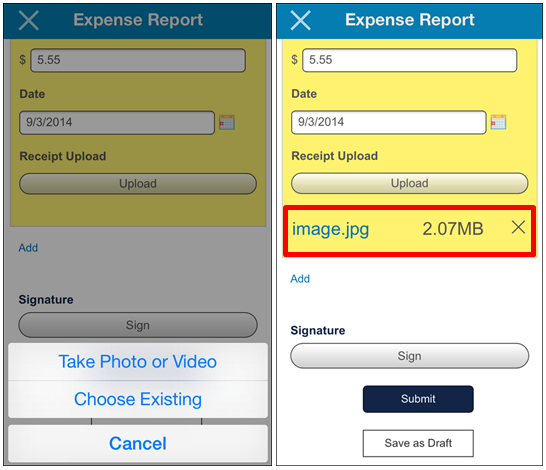 For more information see the Laserfiche Mobile 9.2 help files for your specific device.